a complex in San Fernando Valley that offers miniature golf and a batting cage. eventually proved to Bieber that she had not taken any photos. The report details that, according to the woman, Bieber screamed at her and her 13-year-old daughter. the alleged robbery attempt, Bieber has not yet been interviewed. with an expired license. His court date has been set for July and he has pleaded not guilty. investigation into alleged felony vandalism at his neighbor’s home which involved an egging incident. from a hockey game on December 29, 2013. The case is still being investigated. Bieber’s recent behavior has seemed to have some fans distancing themselves from the popular star. Staples Center. When Bieber’s face appeared on the Jumbrotron screen, the audience began to boo. 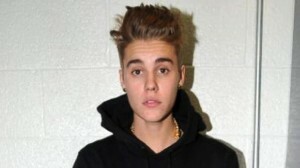 Looks like Bieber’s bad boy image may be beginning to backfire!